Yes, Trump mentioned HIV/AIDS in his State of the Union address Tuesday night, February 5. As we reported on Monday, he was expected to unveil a plan to end HIV in America by 2030. Although his delivered remarks did not include mention of a specific HIV strategy, the topic ignited responses from numerous organizations that specialize in the epidemic. We’ve rounded up snippets from and links to those statements below. We should also require drug companies, insurance companies and hospitals to disclose real prices to foster competition and bring costs way down. No force in history has done more to advance the human condition than American freedom. In recent years we have made remarkable progress in the fight against HIV and AIDS. Scientific breakthroughs have brought a once distant dream within reach. My budget will ask Democrats and Republicans to make the needed commitment to eliminate the HIV, epidemic in the United States within 10 years. We have made incredible strides, incredible. Together we will defeat AIDS in America and beyond. Tonight I am also asking you to join me in another fight that all Americans can get behind, the fight against childhood cancer. More details about the president’s HIV initiative, however, did materialize in a blog post by Alex Azar, secretary of the Department of Health and Human Services, which you can read here. And now the responses. 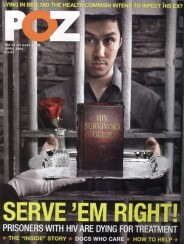 Let’s start off with a joint statement from 22 HIV/AIDS groups. In short, the statement urges Trump to honor the commitment to HIV transmissions by 2030 by expanding health care access, valuing the dignity and rights of vulnerable populations (LGBT community, people of color, immigrants) and withdrawing the planned changes to Medicare Part D (which would remove protections that make HIV meds affordable and accessible). 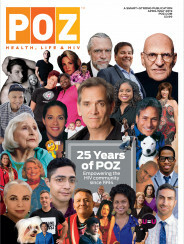 You can read the full statement and the list of cosigners on the AIDS United POZ blog here. The AIDS Institute, a national nonprofit, applauds Trump’s “bold initiative” to end HIV in the country and urges Congress to support it. “His proposal to increase access to antiretroviral medications for people living with HIV and for prevention in those communities with the highest rates of HIV and where additional resources are most needed will translate into fewer HIV infections. Under the president’s proposal, the number of new infections can eventually be reduced to zero,” said Carl Schmid, the deputy executive director of the AIDS Institute. It must be noted, though, that Schmid was recently appointed as cochair of the Presidential Advisory Council on HIV/AIDS (PACHA), a group whose members had either resigned in protest over Trump or, as of December 2017, had been fired by him. Besides Schmid and cochair John Wiesman, no other members have been announced. To read more about the coalition’s road map—and to download its report—click here. And if all this talk about ending the epidemic inspires you to take action, check out these free lessons about successful HIV advocacy created by Positive Women’s Network–USA. The lessons include videos and graphics that explain the workings of government—such as how a bill becomes a law and how the federal appropriations committees create budgets. To learn more about the “Claim Your Seat at the Table!” guide, click here. For an op-ed about the State of the Union speech by Charles Lyons, president and CEO of the Elizabeth Glaser Pediatric AIDS Foundation, click here. POZ Poll: Do you think Trump’s HIV Plan for America will be enacted?